Even people with front row seats won't get this close to THE LION KING. 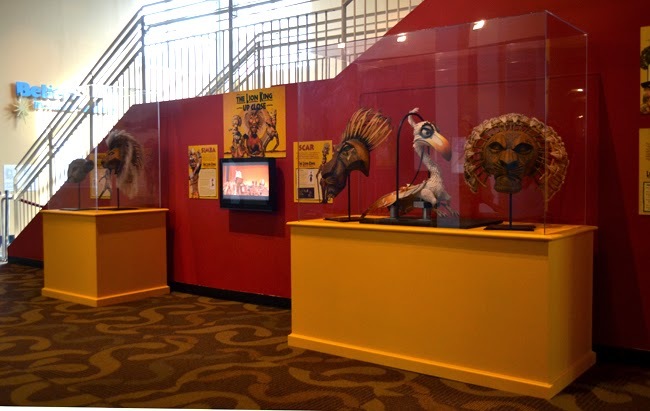 The Center for Puppetry Arts, one of Atlanta's magical and marvelous cultural destinations, recently opened a new temporary exhibit, THE LION KING: Up Close. 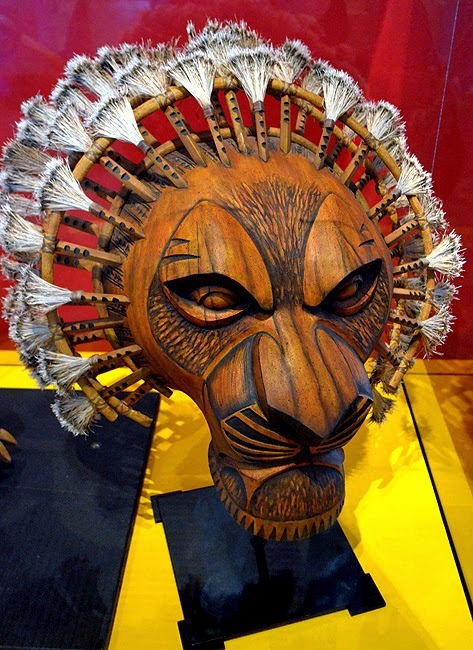 This rare opportunity features four masks and one puppet used in the Broadway production of THE LION KING, and you get to experience the masks really up close! 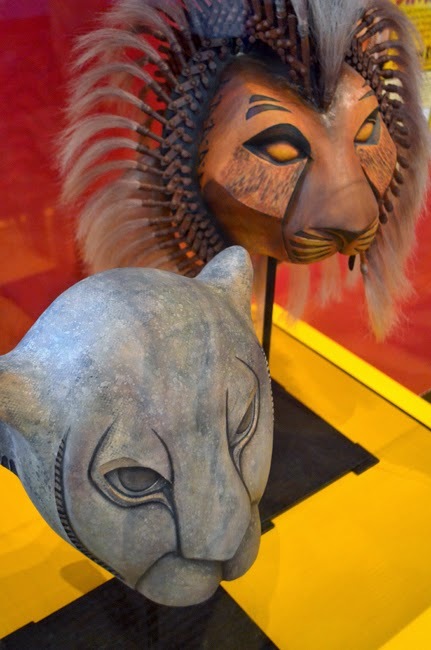 THE LION KING: Up Close is on display in conjunction with the run of THE LION KING opening at the Fox Theatre on Thursday, April 10, 2014 (video preview). The exhibition—on display now—and the performance will run through Sunday, April 27, 2014. 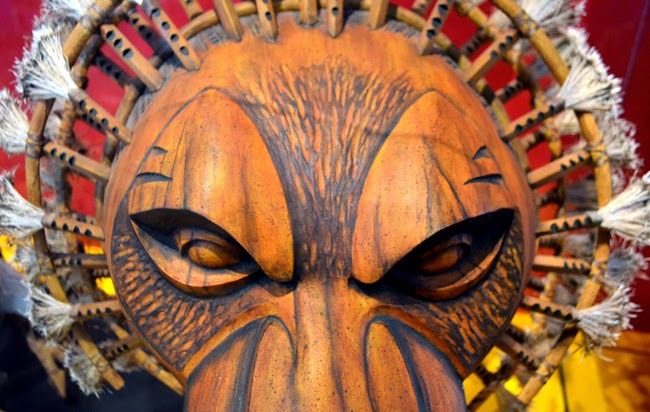 The Center for Puppetry Arts treated me (wanderlust ATLANTA) to a private tour of THE LION KING: Up Close, as well as the Center's incredible—and extensive—museum. If you've never visited the museum, you're going to be swept away to a land of awe and wonder. That's assuming you get past the giant Pinocchio coming through the ceiling at the museum entrance! 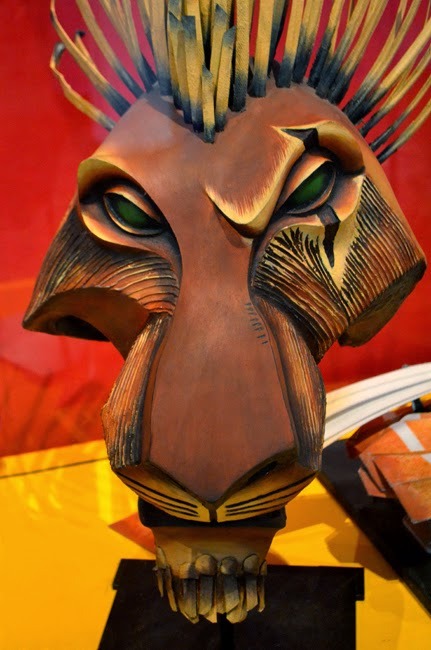 THE LION KING: Up Close showcases Julie Taymor and Michael Curry’s award-winning designs. 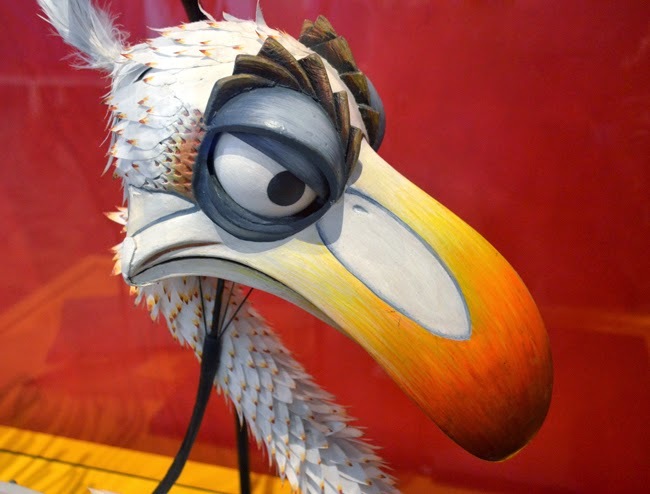 Visitors get an intimate look—we're talking super close—at the Simba, Nala, Mufasa and Scar masks, as well as the Zazu puppet, used in the Broadway production. How cool is that?! Did You Know: There are more than 200 puppets in the stage performance of THE LION KING, which took more than 17,000 hours to build. The stage performance features a wide range of dance, including: modern, ballet, African, and hip hop. That was a deliberate effort, to ensure that everyone could connect with the show. Choreographer Garth Fagan says that the lioness dance—performed by character Nala (her mask above, lower left)—is his personal favorite. 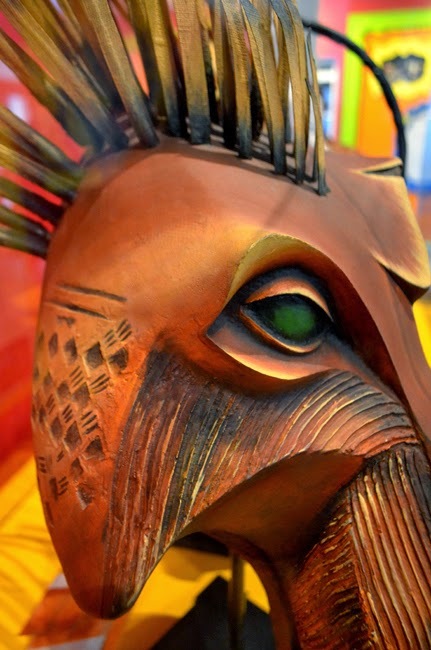 When you visit the Center for Puppetry Arts' THE LION KING: Up Close, be sure to make time to explore the museum and/or take in a performance or workshop. There's a LOT going on at the Center, and it's all quite brilliant! Watch for a separate post in the near future that goes into more detail about the museum. Please allow me to acknowledge those who made this exhibition possible...THE LION KING: Up Close is presented through a partnership between the Center for Puppetry Arts, Disney’s THE LION KING and FifthThird Bank Broadway in Atlanta. Having watched a decline of the arts in school, it's refreshing and reassuring to see partnerships like this one that bring excitement and encouragement to so many who are interested in pursuing a career in the arts. And that we have institutions, like the Center for Puppetry Arts, that serve as arts education destinations for our children. I love themed outings, so I'm compelled to suggest enjoying a "Day of THE LION KING". How's this sound: Visit the lion habitat at Zoo Atlanta; then head over to the Center for Puppetry Arts to see THE LION KING: Up Close, followed by a performance of Disney's THE LION KING at the Fox Theatre. Sounds like fun, yes? Here's a quick preview of what you can expect to see at the stage performance, showing the masks you will have seen earlier in the day at the Center for Puppetry Arts. Have a great time!